Visitors should verify hours and admission policies with destination attractions when planning an itinerary. It is important to note that the current programs and policies can be subject to seasonal or permanent change. 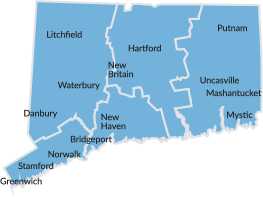 Handicap accessibility, while widely available in the State of Connecticut, should be confirmed in advance. Travelers in need of emergency assistance can dial 911 statewide to connect to an emergency operator.